I don’t have insider access to NYFW, but I’ve been pretending to have scored my own front row seat by getting all dolled up and watching the live stream from the comfort of my own home. I’ve long been a fan of Monique Lhuillier ( I even chose her femme fatale pattern for Royal Doultan for my wedding china)! 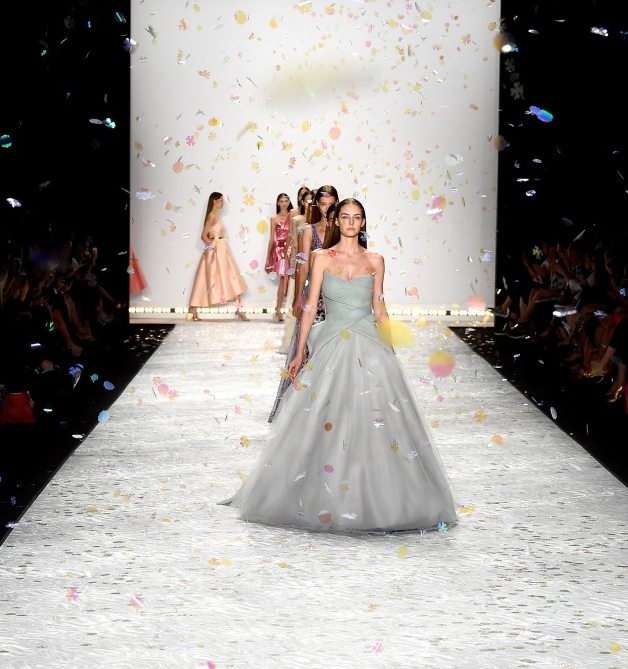 I was enamoured by the frosted pastels that floated down the runway amidst a flurry of glitter. Perhaps the takeaway that translates most easily to ready to wear is the contrast of a metallic belt against an otherwise timid pastel frock that makes for a statement making ensemble. 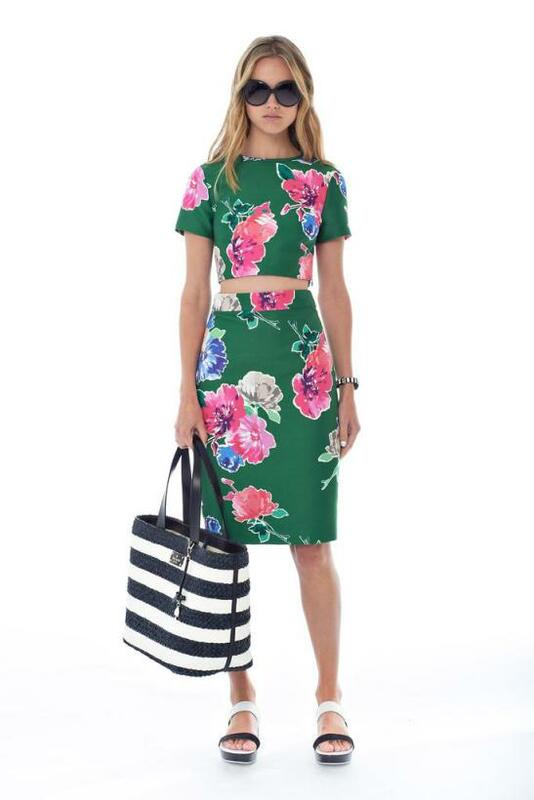 The Kate Spade Spring 2015 presentation kept things fresh as a daisy with a garden inspired motif featuring snail shaped clutches and pops of color that did not disappoint. BCBGMaxAzria continued the pastel trend with floaty fabrics featuring icy blues laced with hues of pink. The trademark trend was once again a belt, but the obi style suggested a more eastern influence.